Artistic Director Laurence Lemieux’s newest solo has opened to great acclaim. “[Love me out of it] makes for a beautiful multi-generational palimpsest of memory and music in a place that Lemieux has carefully built in the former Salvation Army soup kitchen on Parliament Street,” writes Kathleen Smith for NOW Toronto. You can read the full feature here. Listen here to Laurence on Radio-Canada’s L’heure de pointe and Grands Lacs Café with host Éric Robitaille. Follow a day in the life of Laurence in The Toronto Guardian. Read the full article (with heaps of photos) here. “With recent controversies rocking the Toronto dance scene for a lack of representation in the wake of the #metoo and #timesup movements, it is vital to celebrate the female artists who create and lead in this city,” writes Byren Dunn for The Buzz. Read the full article here. 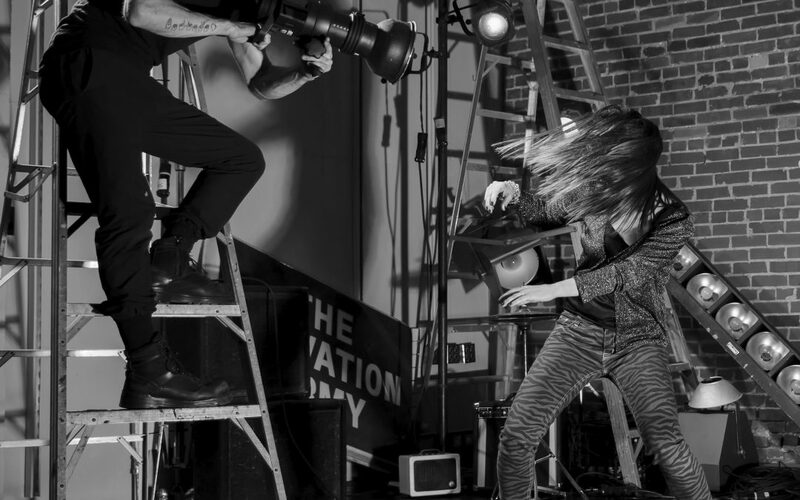 Set to the iconic “Frantic City” by Canadian punk band Teenage Head, Love me out of it explores Lemieux’s long relationship to dance through various characters that come to life with every song. Oct. 11-12, 17-20 at 8pm (with live music following every show) Tickets here. Oct. 13 at 8pm: VIP night with live performance by Teenage Head. Tickets here.